New Pet Fish at http://www.newpetfish.com is a joint-venture aquarium fish website which serves to provide important information especially to those wannabe pet enthusiasts. Our aim is to ensure that free information is available to all at no cost so that everybody can enjoy aquarium fish hobby to be a fun and exciting affair. 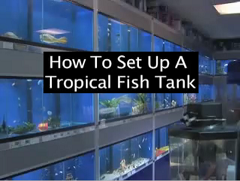 Other than that, we also provide aquarium service on consultation and advice covering every aspect of aquarium setup whether it is a freshwater or saltwater new tank.